Our Son Rides The Short Bus...And I Couldn't Be More Proud! 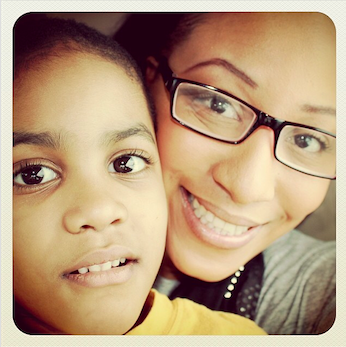 You are here: Home / Parenting / Our Son Rides The Short Bus…And I Couldn’t Be More Proud! Today our four year old boy, who we love dearly, rode the school bus for the first time. The short school bus. The short bus. Four years ago (before Noah was born) I would have never imagined that we would one day have a child that would literally ride the “short bus.” But the truth is, you never know what curve balls life is going to throw you. All you can do is trust that God is writing a way better story for your life than you ever could, and live life to the fullest. That’s what we try to do in the Smith house! 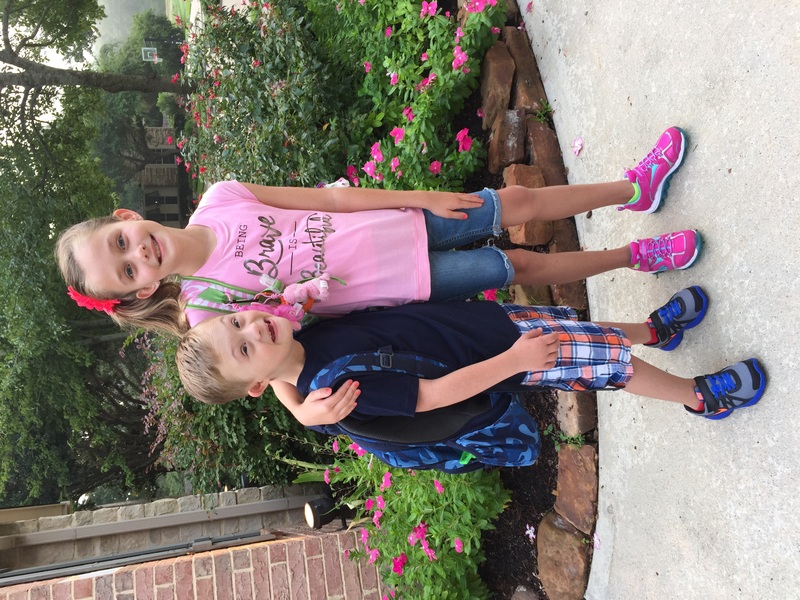 Noah started school at our local PPCD program (preschool program for children with disabilities) today, which involves him taking the bus to and from the elementary school. It was surreal putting our little boy on the school bus today. You have to have a lot of trust to put your child on a bus with someone you don’t know, but that’s another post for another day. Riding the school bus is part of the experience. It teaches Noah independence. It helps him connect with other kids. And is super fun for him. But this isn’t any school bus…it’s the “short bus.”I knew he would be riding the short bus when he started to school for some time, but I have to admit I had an odd feeling in my stomach when I actually saw the short bus waiting for him. It wasn’t necessary a bad feeling, just an odd one. I think about all of the jokes people make about “the short bus” and how that phrase has an entirely new meaning for me now. (I also have a whole new understanding of the “R-Word.”) I don’t want anyone to ever people to say things that will my hurt my little boy, but it’s going to happen one day, and we’ll cross that bridge when we get there. Today, we aren’t thinking about the hurtful things that people may say to him sometime in his future. Or bullies. Or meanies. Or whatever. 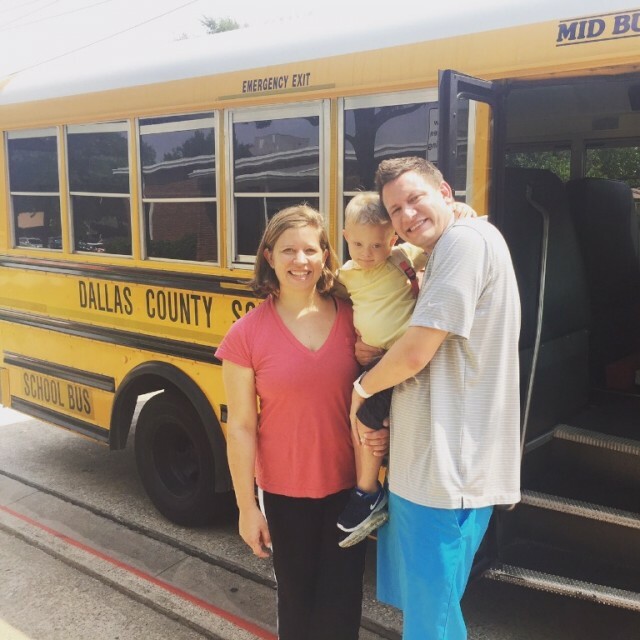 Today we’re thinking about how our son rode the short bus…and loved it! Take a look at the video above and check out these pictures. He had a blast, and I had a ton of joy watching him have a blast! This little boy has hit a ton of milestones, and today was another huge one. I was so proud today to see him be so independent as he rode the bus to and from school. He did so well on the bus, and is really going to enjoy it riding it this year. I love this little boy more than words can say, and I am so proud to be his daddy! By the way, we met Noah after school today before he boarded the bus just so he wouldn’t be scared (he would have been fine even if we didn’t show up….he loved the bus) and I loved how he ran out to give me a hug as soon as school was over. Be sure to watch the end of the video I posted above to see for yourself! 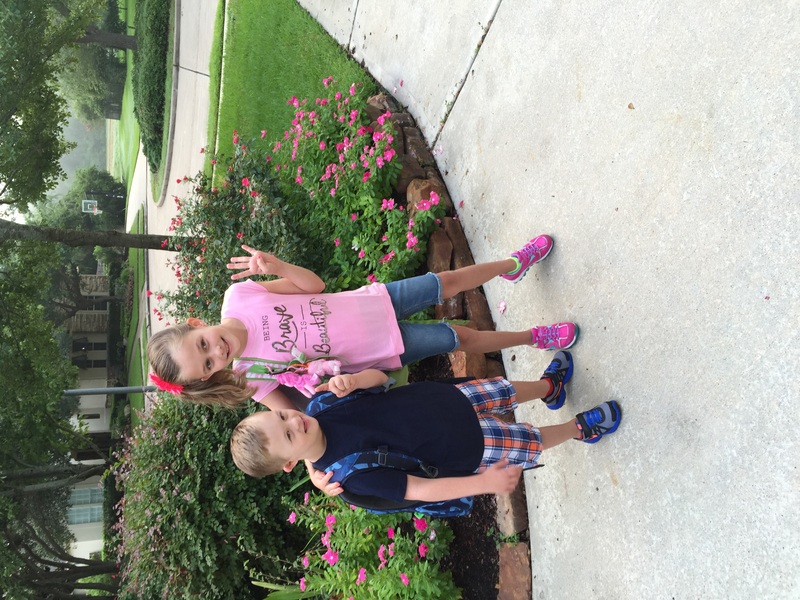 Yelp, we have a little boy that rides the short bus…and it’s all good! If your child started school this week, how did it go? Be sure to post your back to school pictures in the comments below! Rick, I’ve been working with kids with DS since 1996. I can’t even remember what other size buses come in. We only get the small buses at our school because our students are all 5 years old or under. You truly are super parents to be so involved in your sons therapies and school. The fact that he hasn’t been on a bus until now says a lot. I’ve taken children under the age of two off a bus. Kids whose parent’s I’ve never even met! 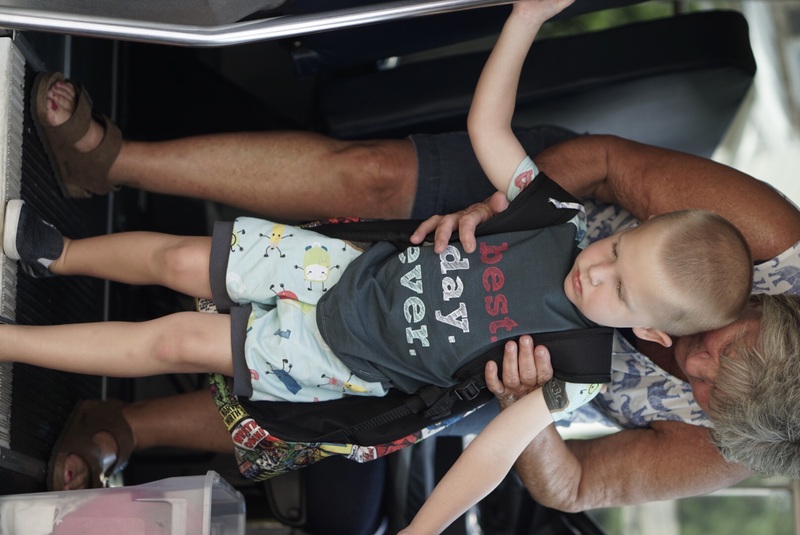 They simply put their kids on a bus and assume that there is someone at the other end who will get them off the bus, take care of them for the day, and return them home safely. I don’t know if that’s trust or lack of responsibility. It’s amazing to see the love and care you display for Noah! He appears to be an engaging young man with a ton of potential to do whatever he sets his heart on in the future. 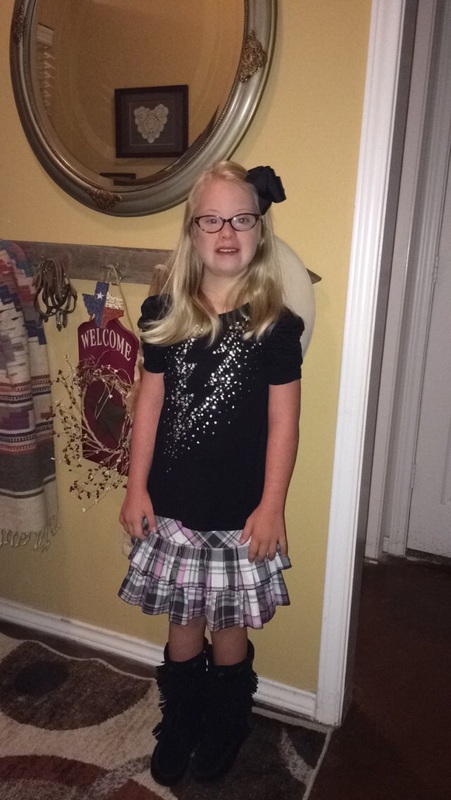 Shae’s first day of 4th grade…she rides the “short bus” too. And loves it as much as Noah does. Shae is adorable and I love her top, skirt and of course her boots! Shae I wish you a wonderful 4th grade year! May you achieve all the things you can achieve. . .for you are awesomely made by a mighty God!! Love it. Sounds super fun. Seth did the same thing for preschool. Today, I got to walk him and his big sister to class. He’s going into 1st grade. He had a great day. So proud of both of them. Hi Noah an family ! keep up the great work Noah and I hope your looking after your little brother. and you 2 boys have the best mum and dad in the world! All the best for the future Smith family ! This is great to see Noah at this age and having a blast. It was very nice to see how you guys care about Noah, and how worried you guys were. I can tell all the love in your family. Can you write PLEASE about the education system over there? what are the options? I dont have idea and we live in Argentina (Buenos Aires) but when Vincent is 5 or 6 we are thinking in moving to America (to a place that gives Vincent the possibility to be integrated in the school). Our son LOVED riding the short bus. He said “We don’t have holes in the seats AND WE HAVE AIR-CONDITIONING! Hi, we are from Israel. 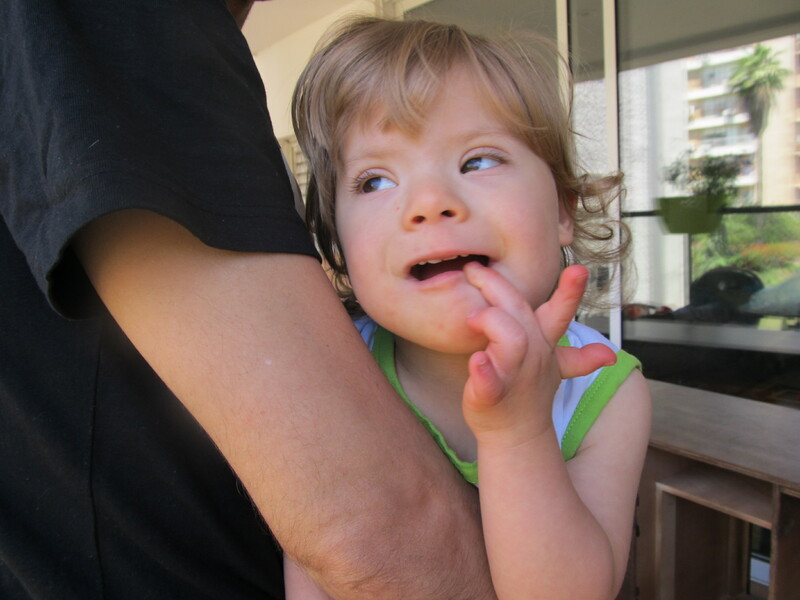 Our son Matan is also riding a taxi to another city to a special kindergarten for children with disabilities. Matan is 2 and half years. But in Israel we start school on the 1st of September. Wow, Noah is such a lovely and happy little boy. He is so blessed to have loving and supportive parents like yourselves. Like Noah, my Jaeden loves riding the bus! I am so proud of him for that and every other milestone he conquers with flying colors. Wow, Noah is such a beautiful and happy little boy. He is so blessed to have loving and supportive parents like yourselves. Hi, I just finished watching Noah ride the bus for the first time. I am a special ed. driver and I want you to know that we feel your anxiety and we know how your heart skips a few beats at thought of letting a stranger drive off with your child. I can’t speak for every driver but I can tell you we don’t take this job for the money. Most drivers who choose to work with children who have unique abilities (we don’t think of them as being dis-abled) have tender hearts for those the rest of the world may see differently. It is a blessing and a privilege to be a part of their lives. We watch them grow up, attend their ball-games, wave to them at church, and finally see them graduate. They become a very important part of our lives. I hope your son’s driver will become a trusted friend. If so, both of your lives will be rich beyond measure. Thanks for sharing your son’s first day with me. Hi Rick! Crazy I haven’t been getting the posts through email and then this one came through. God knew I really needed this one! Grace started ppcd also yesterday. We thought she was going to ride the short bus but a long bus came. I totally get it! The trusting strangers with your children in school and on the bus is so hard. I’m constantly surrendering her to God’s care but those scared feelings keep creeping in. Thank you for again reminding me we aren’t alone through this. What a comfort y’all provide through Christ and this Down syndrome journey. We are so very thankful! Hope to see y’all at a Guild event soon! Blessings! I was just thinking about y’all last evening, thinking that I hadn’t seen a post or FB pic in a while. Noah did a GREAT job on the bus. And the proud Papa and Mama did far better than I did when we dropped our boys (then 4 and 3) off at Head Start for the first day! I have been watching Noah grow for several years now following him on Facebook. I feel as if I know him and I have to tell you I have a love for him about the same as I do my Grandchildren. He is special but not disabled, he is Gods creation and we know God doesn’t make mistakes. He has given you this little boy for a reason. And I want to thank you for letting me come along for the adventure to see what awesome things God has planned for him. I just know he is going to do great things and just think you have the special honor of being his parents. May God pour out His blessings on you and your family. Wishing Noah a great year at preschool. He is adorable. My son, Jesus (with DS), went on the short bus the day after he turned three. I was scared of sending him off on a bus with a stranger, but he loved it. He is now four and going to kinder. I am proud of my boy and what he has accomplished. Now that I see Noah I wish I would have taken pics on the bus. I will this year when he goes back. My granddaughter, Presley, hasn’t started school yet. She’s only 7 months old. But her parents and I are looking forward to the day that our little precious Presley will be taking those first scary steps into this uncertain world of ours. Having survived its bumps and setbacks for over 60 years, my heart can’t help but worry as it silently cries for her. I know how cruel this world can be. Especially to those with tender, loving hearts. But God, in His infinite wisdom, has shown us that He will enable not only us, but our priceless gift named Presley to excel in all that she does. For her good and His glory. I absolutely love keeping up with Noah and his wonderful family. 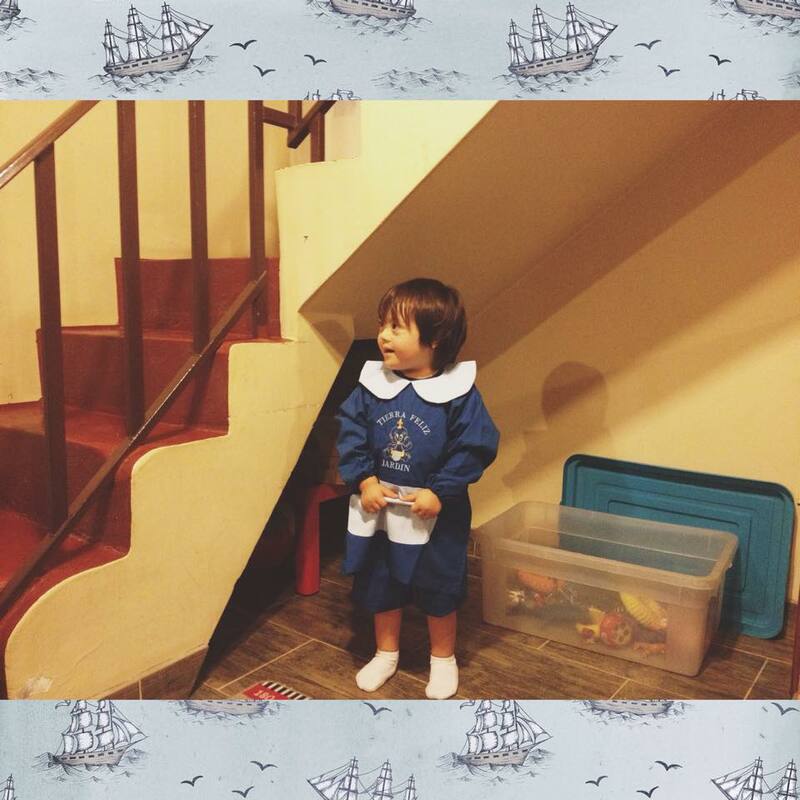 Now, I have just ”taken part” in Noah’s first day of school. As another of his online “Grandmothers”, I too, am excited for, and happy for, the entire family. What a perfect family God decided to place Noah in! 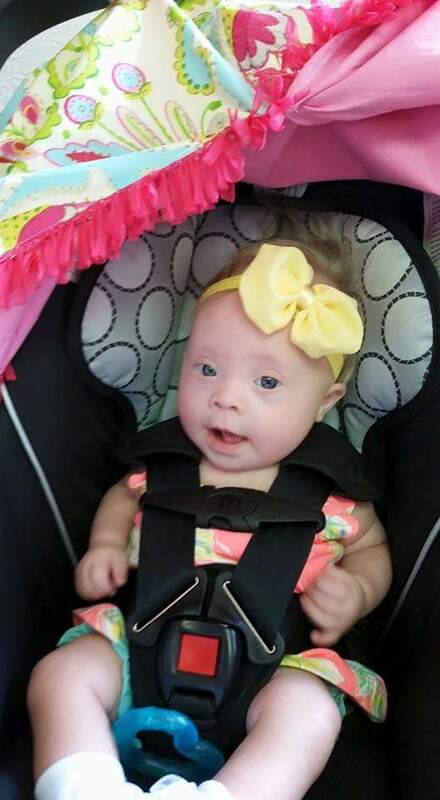 I have a Grandson, in his early 20s who also was born with Down Syndrome. I know the blessing Tristan is to us. Thank you for including me in this post. As David’s cousin, it is nice to learn about the activities in the family. I just showed it to my fifth and sixth graders. We had a great discussion. Most of them wanted to be on the short bus with Noah! I know that he will be successful with such a supportive family. I really love this website. I have a 20 month old son with Downs Syndrome. He is amazing and so hansom. I love watching him grow and and what a blessing he is to our family. Thank you Noahs dad for sharing your experiences with all of us. God bless!!!! I love your site and the love you have for your son . I taught very special students. For 31 years and I ,too,as part of my job rode. The short bus. My students had a grand time riding and relating to their friends. 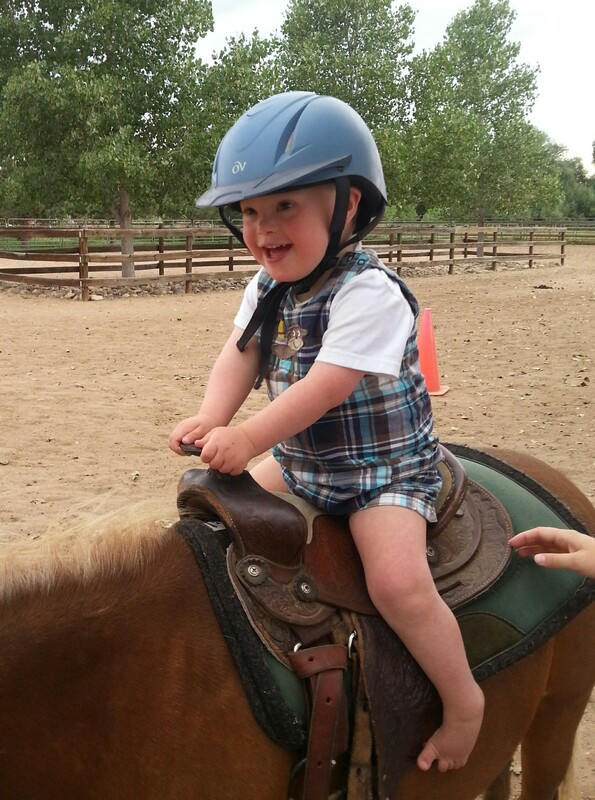 I know have a great grandson with special needs and I get to experience all of that joy again. Keep on posting your son’s experiences. I could have written this post. 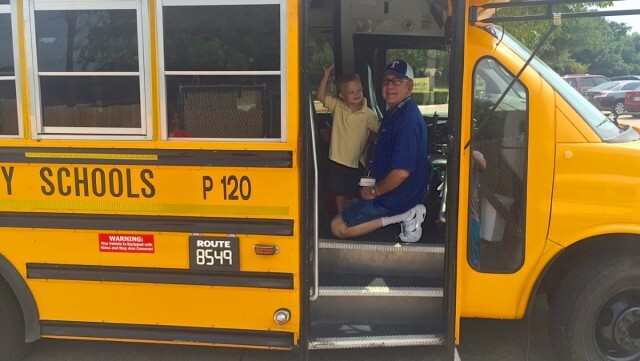 My son rode the short bus for the first time a few weeks ago. It was way harder for me than for him. He LOVES it. It’s his favorite part of the day. 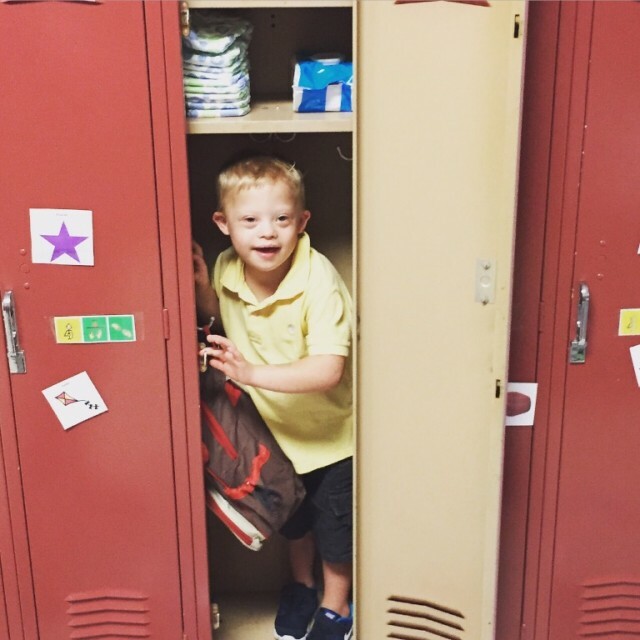 Thank you for sharing and I hope Noah has an awesome year in preschool! Looks like little Noah has gotten off to a wonderful start:-) Our little boy Daire starts preschool in January here in Ireland. Your enthusiasm is infectious! 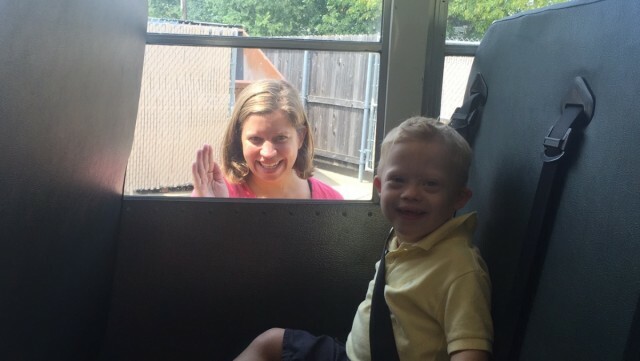 Thank you for sharing Noah’s first day on the short bus. He is such a precious little guy. I love the DS children that God has sent our way to bless not just the parents, but all of us! Thank you for your very POSITIVE posts, and for the precious video of Noah. We rejoice with you! 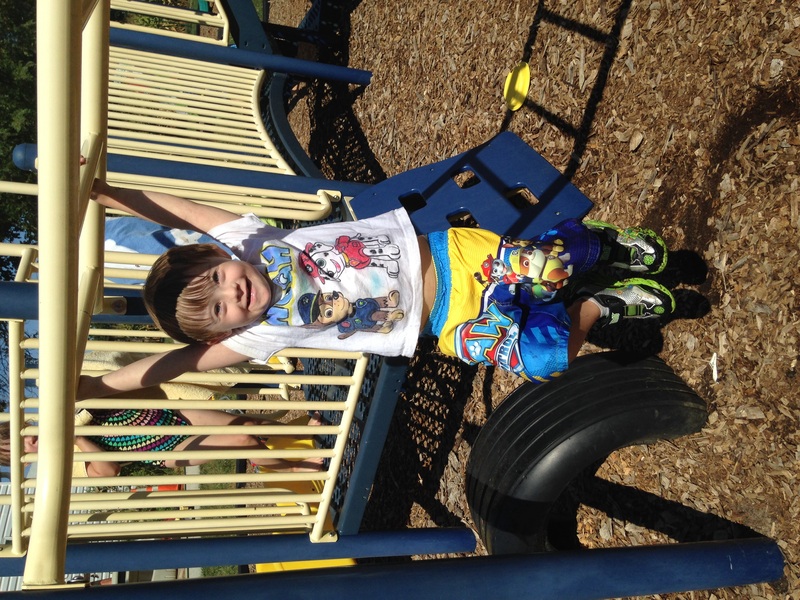 Our son Isaac (T21, 2 and a half years old) is such a JOY, and just started Simply Classical Level A, a home school curriculum for children with special needs. We also do in-home therapies, and have lots of hugs, fun, smiles, and many wonderful days together. His Papa and 10 siblings all love him very much, and we are so glad he is ALIVE! God’s richest blessings be upon you! For us, it took William less than a month before he fell in love with his bus driver and wanted to bring her home with him. He wouldn’t let go of her hand. Unfortunately, as great as it is to have such companionship in the bus, the driver is not allowed to leave the kids in the bus and come home with him . Noha is lovely.I hope he we be a successful boy in school.I’m from Iran and I have a 6 mo old baby boy that have ds. Here in Iran and our city there is no proper therapist (physical or speech) and because of my son’s good muscle tone his dady isn’t willing to take him to any kind therapies.l’m hopeless and still crying every dayfor my son .l have a 5yo daughter and l worry about her so much too.l don’t know what to do. I love how proud you are of Noah! It is so great to see Noah doing so well. I have been following your post since last October when I was introduced to it by my mum. 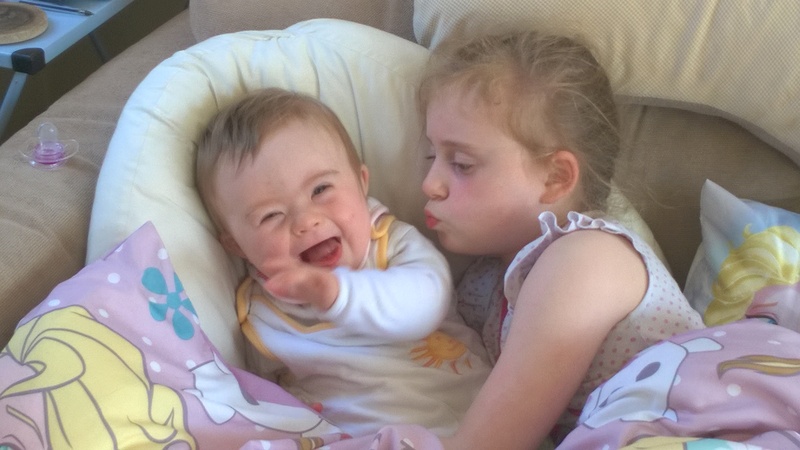 My little girl was born with Down Syndrome last October and similar to your experience, the news was a like a bomb in the delivery suite. Since then we have been learning to cope with her bz medical schedules and therapies. I know we should not compare each child’s milestones with another, but Noah seems to be doing so well compared to my little girl. Wish we had greater govt support here in my country…. My Baby Rides the Short Bus reminds us of what we all have in common and how much more work there still is to be done. If only that lady in the grocery store and all of those other so-called parenting experts would read this book! I share your joy! My ggs is 10 months and learning to sit by his self. Noah is so handsome with the biggest smile. I love hearing about these accomplishments. Way to go Noah!! !